The Prime Minister of India, Shri Narendra Modi announced the “Start-up India” initiative which aims at fostering entrepreneurship and promoting innovation by creating an ecosystem that is conducive for growth of Start-ups. The objective is that India must become a nation of job creators instead of being a nation of job seekers. But the problem with common man is that he gets confused from where and how to start and how to enter into the entrepreneurial world. He doesn’t understand from where to start a business and what other legal formalities he may have to follow and what other steps to get success in the business. Understanding all these problems, Legal India has decided to provide ONE POINT SOLUTION to assist new Startup or entrepreneur. 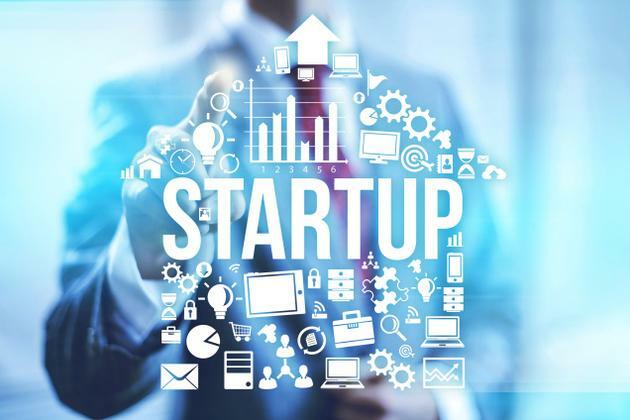 If you are a startup and small or medium sized enterprise and you are wondering from where and how to start then you have came on the right platform, we will guide you step by step to start as a new business entity or a company. There are mainly 6 type of business entities which are popular in India, they are 1.Sole Proprietorship 2.Partnership 3.Limited Liability Partnership (LLP) 4.One Person Company (OPC) 5.Private Limited Company (Pvt Ltd) and 6.Public Limited Company (Ltd). Every business entity has its own pros and cons, to understand more about these Business Entities Click Here. Legal India will assist you in forming all these type of companies or business entities with the help of associated network of CA’s (Chartered Accountants) listed in our Panel. To form a company of your choice and as per your need as listed above please follow the link. The next step after the formation of a Company or registration of your Business Entity you have to register your company with different Tax Authorities like Income Tax, Service Tax, Sales Tax, VAT. You will not be able to do any financial activities in your company without a PAN number, even no any Bank will allow you to open a bank account without a PAN number. However for Proprietorship firm your personal PAN number will be considered as your business PAN Number. After PAN Number our team will assist and guide you to decide which type of other tax registration is required for your business and we will also assist you in registration with different tax authorities. To know more about Income Tax, PAN, TAN, Service Tax, Sales Tax, VAT please Click Here. Now a days it is mandatory for a company to have a website. After you have decided which type of Company you want to form, the most important step is to secure the name of the company in online world. Securing the name of the Company can be done by registering its name with any Domain Registration Company. After Domain Registration, you need to purchase a hosting server to host your website. After hosting, you need a website developer to develop your website in professional manner. In order to make a strong presence in virtual world, these days Social Media has become a strong medium to connect with your customers. Facebook, Twitter, Instagram and Google+ are common social media platform these days. Only creating accounts with these platform is not enough, you have to post or update quality content related to your business and product on regular basis. Legal India is in collaboration with Manu Info Solutions (MIS), that will assist you in creating your strong online presence. From Domain registration to website development and from social media promotion to quality content creation, expert team of MIS will assist you in all way. For more details about how to register a Domain Name Click Here. Once you have decided to pour your blood, sweat and tears into a business, the last thing you need to protect your company name or logo to be hijacked by another business rival. A trademark protects the word, symbol, design or combination associated with your company name or logo from being replicated. By obtaining a registered trademark, you give yourself legal protection to defend yourself in court. To know more and register a trademark Click Here. For ensuring a successful business you need a well equipped office at such a location that suits all your requirement like employee/workers availability, transportation availability, electricity/telephone/mobile network/internet and other technical availability. The office should be well decorated with latest furniture, equipment and should be according to Vastu (if you believe in Vastu/astrology). Secondly without a good team, no business can be made successful. Many startup companies fail only due to lack of competent employees instead of office and good insfratructure. Legal India is in collaboration with property dealer in Delhi/NCR and Interior Designers and Recuitment Agency who will assist you in getting a office at good location, interior deorators to design your office and Recuitment agencies to provide competent staff for your business. Click Here to know more about office setup and staff recruitment services. Now comes the website designing of the company. One of the best IT company of India i.e Manu Info Solutions will provide the assistance in designing of the website. Manu Info Solutions will also help in designing Brochure and Pamphlet of the Company.